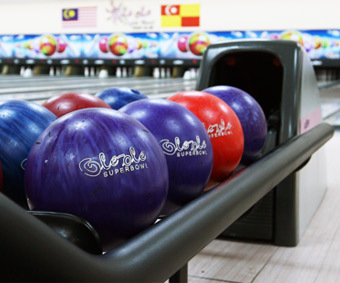 Ole Ole is located beside the busy Persiaran Jubli Perak in Section 18 township, and adjacent to the first Giant Hypermarket in Shah Alam. It is surrounded by a fully occupied commercial centre of Section 18. Ole Ole is a 3-storey shopping with a total nett retail area of 90,000 sq.ft. It is supported by about 160 car parking bays, all located at the perimeter of the retail building. Valet parking service is also available at the perimeter parking. There are also ample car park space at the existing town centre car park, just a few steps away. The 3-storey shopping complex adopts a community retail centre concept. Its trade mix and tenant mix complements existing Section 18 commercial centre. The retailing elements of a community retail centre shall be to provide the day-to-day necessities of life as well as a good selection of competetive goods. The community retail centre shall cater to the needs and wants of the immediate surrounding residential and office population. The main trade area of this community retail centre is population within 10-15 minutes walking distance and 5-10 minutes driving distance. This 3-storey shopping complex is an attraction for residents living in southern part of Shah Alam. All retail shops within Ole Ole are 100% for lease only. Ole Ole Shopping Centre features a variety of concept stores that feature items such as fashion and accessories, jewellery, electronics, food & beverage, health & beauty products, bowling centre, Karaoke outlet and many others. A wide range of F&B outlets to satisfy all taste buds includes choices such as Secret Recipe, Pak Li Kopitiam, Ayam Penyet AP, Hot & Roll, Cool Station and Kek Makwe. In general, Ole Ole name was chosen because it represents the cultural traditions of Malaysia. The name is derived from the word Olẽh-Olẽh which is synonymous with the Malay community in early days. Referring to the Kamus Dewan, Ole Ole means pemberian or buah tangan. Ole Ole was officially opened on 3rd November 2007.